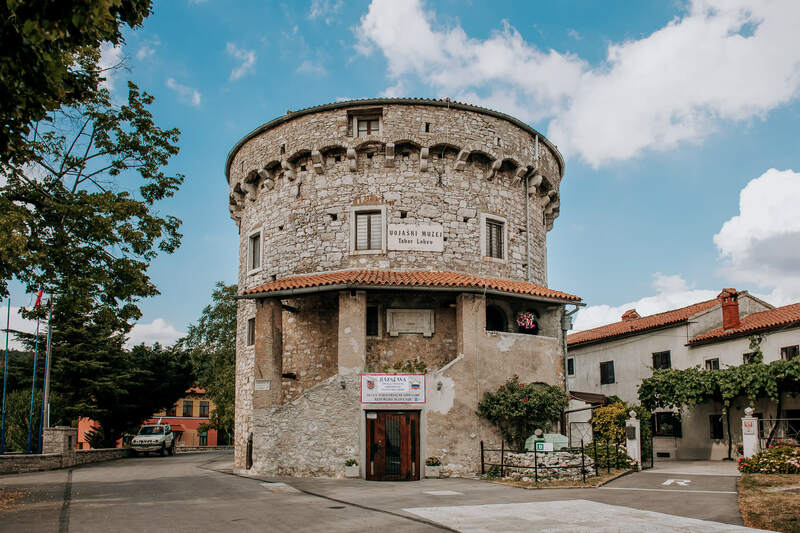 Lokev Military Museum is situated in a defence tower – Tabor that was built in 1485 and is a cultural monument of national importance and belongs to the Municipality of Sežana. It was opened on 14th August 1994. The owner of the museum and its manager is Srečko Rože. In his childhood he was attracted by his grandfather's stories, Viktor Rože, who was an Austro-Hungarian World War I survivor, as well as by the stories of his father's Albin from World War II. He found his first two objects with his grandfather Viktor on a local rubbish damp in his native village Kreplje near Dutovlje. He found a canteen and a bayonet and he was attracted by collecting. The first collection of military objects, which contained 511 items, was confiscated by the militia in 1983. After the completed military service in 1987 a new collection of military objects from both World War I and II started to be formed. An archaeological and ethnological collection started to be formed slowly, connected in the first place to the native Karst environment, but as time went by also to other areas in Slovenia. 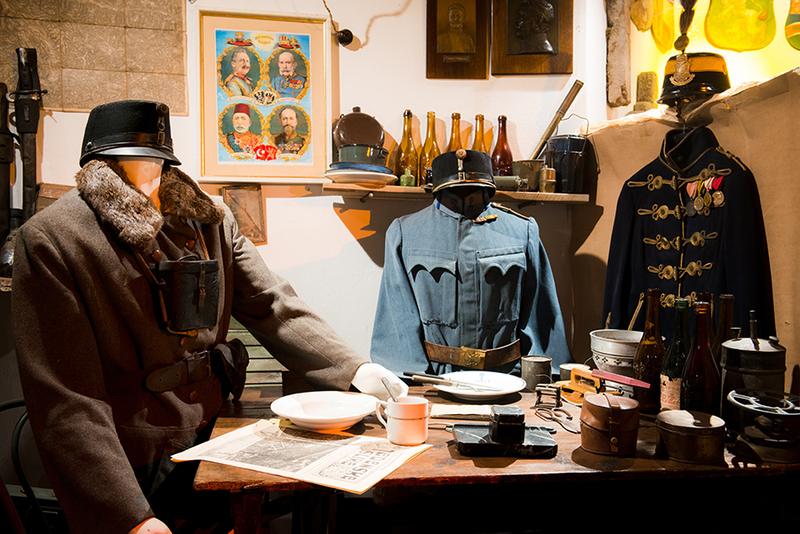 Lokev Military Museum collaborates with other Slovene museums as well as with museums from abroad, particularly with museums from neighbouring Italy at setting temporary thematic exhibitions that represent periods from Austro-Hungarian empire till the end of World War II. Besides military exhibitions we collaborate also at setting ethnological exhibitions that are connected with the life of the Karst people in the past. The national TV network TV Slovenija has invited us many times to the recording of documentary feature films. The museum has been visited by various national and international delegations from the fields of army, police, civil protection, culture, economy, politics. In 2012 the museum was visited by the then President of Slovenia, Danilo Turk. Since the opening of the museum, Srečko Rože has received 93 awards and citations, among others also the award of the Municipality of Sežana as the highest award of the municipality for the »years long effort at collecting pieces of history for the preservation of cultural heritage not only in the Karst and Slovenia, but on a broader scale as well. 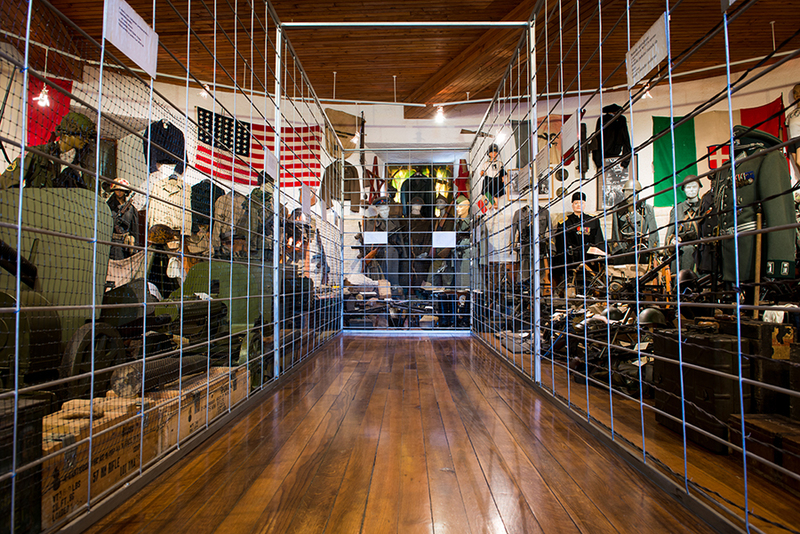 The mission of Tabor Military museum is collecting, recording, preserving and presenting mobile cultural heritage of Slovenian recent history with the emphasis on the Primorska region. 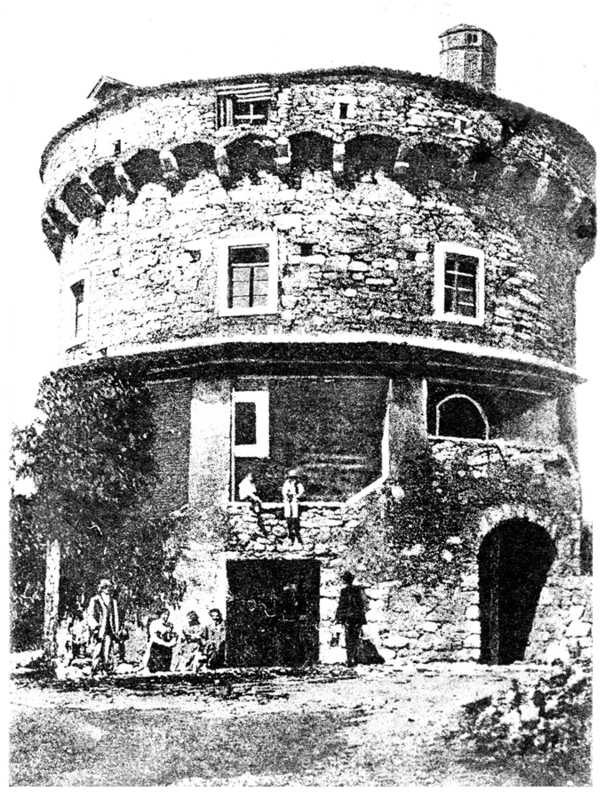 The museum is situated in a defence tower from year 1485 that stands in the center of the village. Besides the defence tower the village center consists of the rectory, a gothic chapel from 1426, St. Michael Church from 1613 that was painted in the Fascist era by academic painter Tone Kralj and memory park with a monument to the fallen in Wolrd War II, monument to the war for Slovenia and monument of Slovene – Czech friendship and primary school and kindergarten.